Home Books Others/Eclectic On Staff | A Practical Guide to Starting Your Career . . . Details the tenure and promotion process, provides keys to succeeding in a higher education environment, all towards a long, rewarding career. 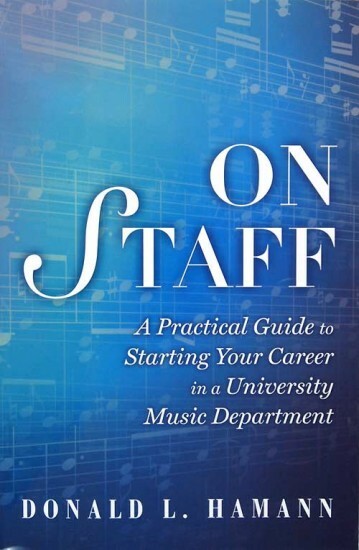 A practical guide to starting a successful career in a music department in higher education, this book thoroughly details the application, interview, and negotiation processes. It offers a wealth of practical information on getting a post, your first days in the post, acquiring tenure and promotion, working with colleagues and administration, beginning your career, and learning about yourself in the higher education setting. And once you get that position, this book will show you how to keep it, to get tenure and promotion, and to be successful in your chosen higher education institution.